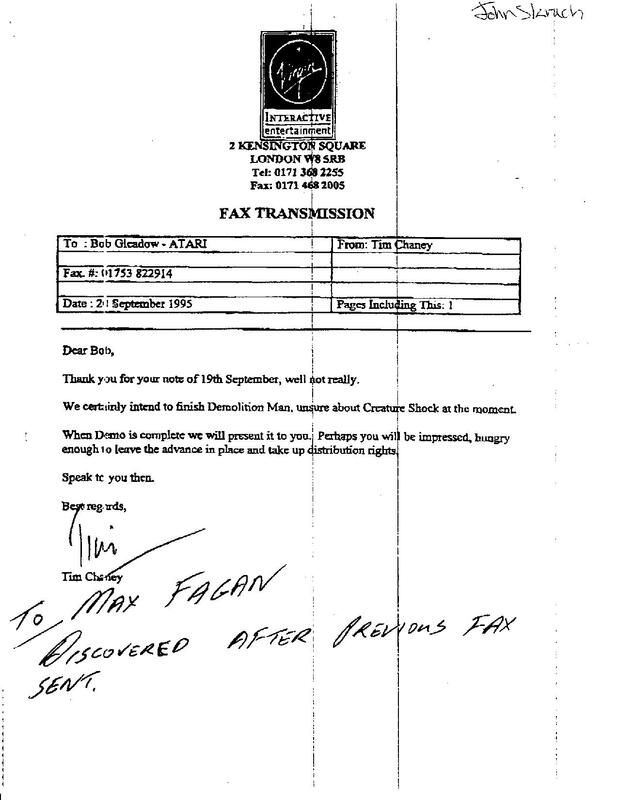 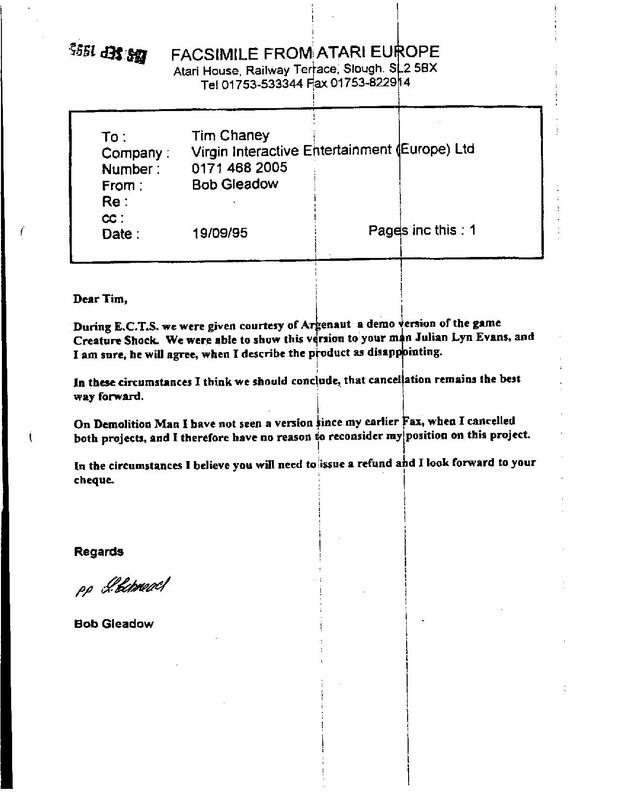 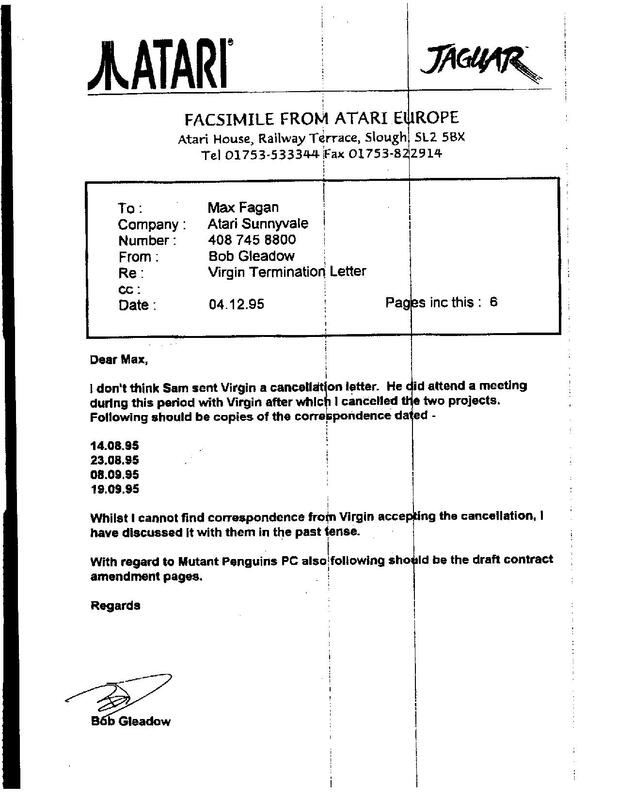 Bob Gleadow of Atari finally sent a cancellation letter to Virgin Interactive after several delays in 8.9.1995. 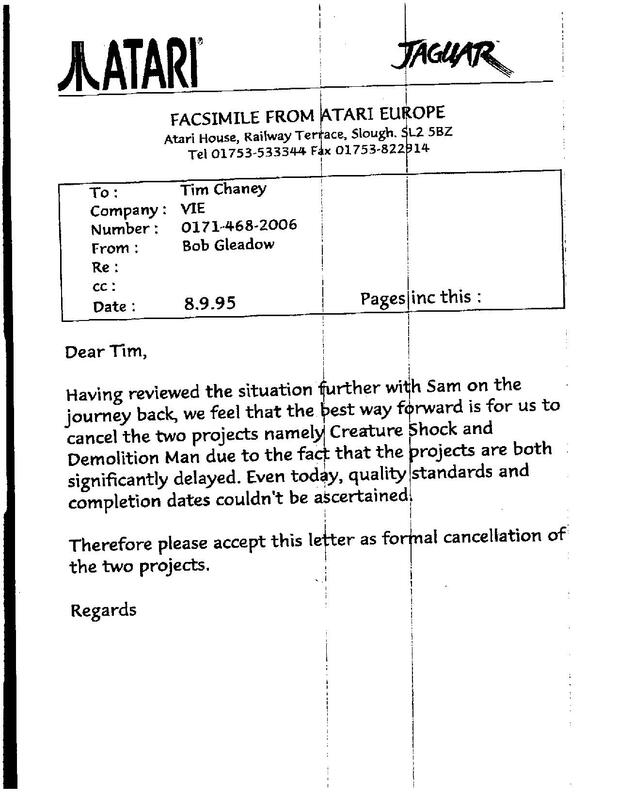 He was concerned that the quality standards and the completion status could not be ascertained. 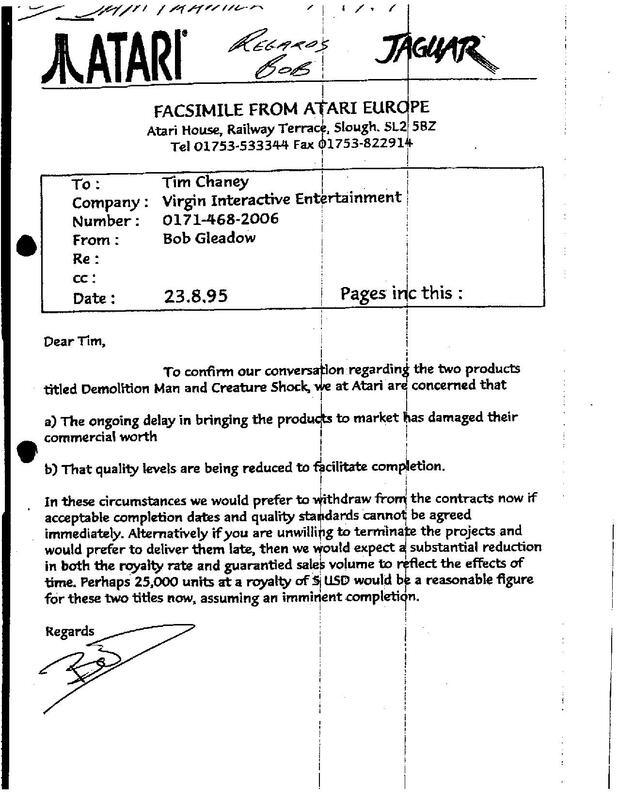 Atari also called the product disappointing after seeing the demo at European Computer Trade Show in 1995.